Summary: Paid Search Marketing is paying for adverts to send people to your website. Search Engine Optimisation is the process to improve your website so it ranks well when someone searches without paying Google. Paid Search Marketing is using a service like Google AdWords to do online advertising. It can be a significant generator of website traffic producing enquiries, leads and sales. Adhesion does Facebook campaigns which some of my customers have found very effective. I am happy to work with your Search Marketing company to create landing pages. Landing pages are the pages you send people to from the advert. They typically have a simplified layout and focus on one key message. I do not recommend that you undertake a significant AdWords campaign without some assistance. It is a specialist field. Search Engine Optimisation is a service which works to increase the website’s organic ranking ie without an advert. In the above search, you can see my website appearing highlighted by the yellow arrow. It is ranking in the #1 position organically ie I did not pay for it to appear there. 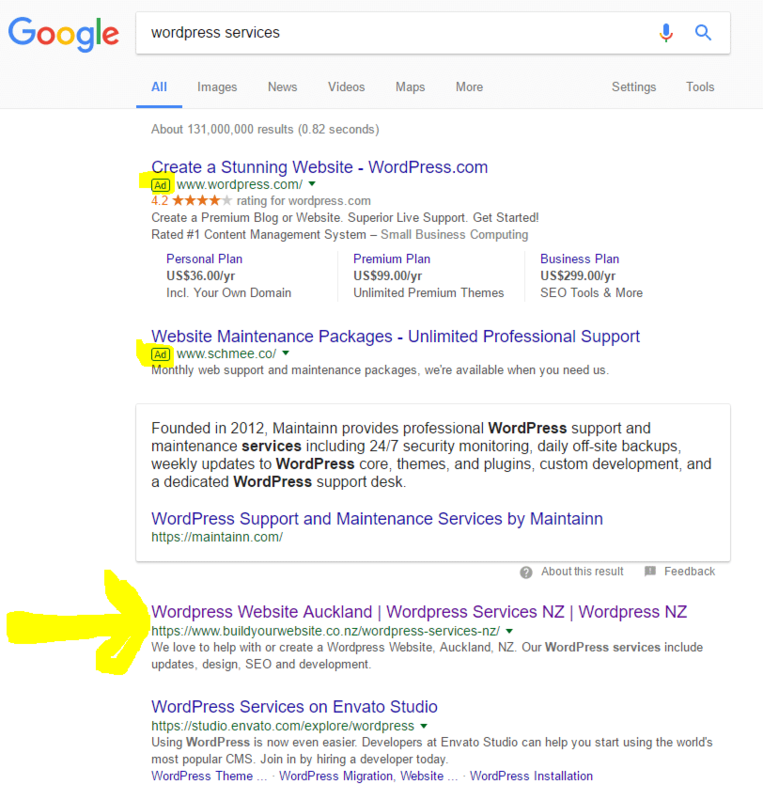 The box above it is the #0 position – the featured snippet position. I offer SEO (search engine optimisation) services which help your website rank well organically. I would highly recommend my monthly package. Search Engine Optimisation is a longer term investment, usually taking a month or 2 to begin to see increased rankings and traffic to the website but the changes also last long term. I recommend using both strategies.